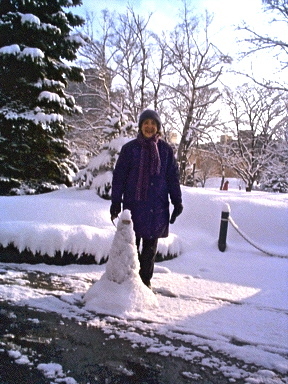 April Fool's Day, 2005 - No kidding! 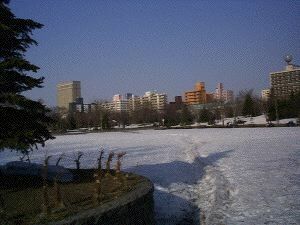 The following photos are from a walk I took on April 9, 2000. Some of my friends seemed to think I exaggerate when I talk about there still being snow in April. Well, here it is! 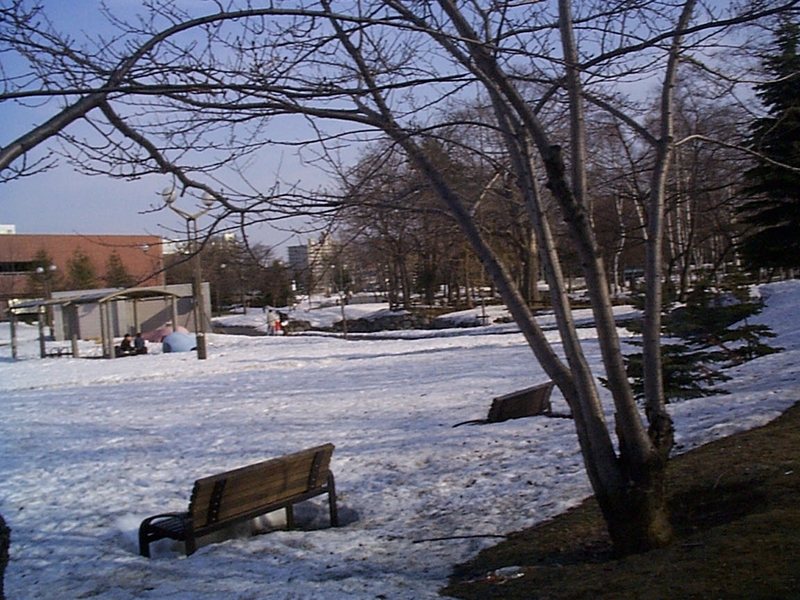 They had to shovel this area for a flea market held in mid-April. Nobody was sitting on these benches! 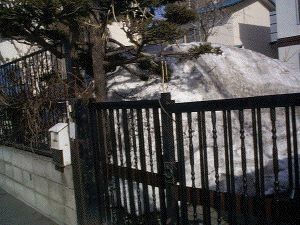 Even though it was the 2nd week in April, there were piles of snow in front of many houses. 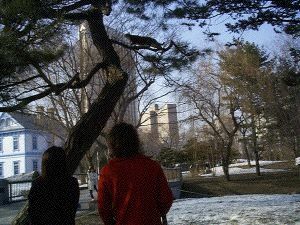 The main attraction for people walking in the park that day was a cat up in the tree trying to chase some crows. 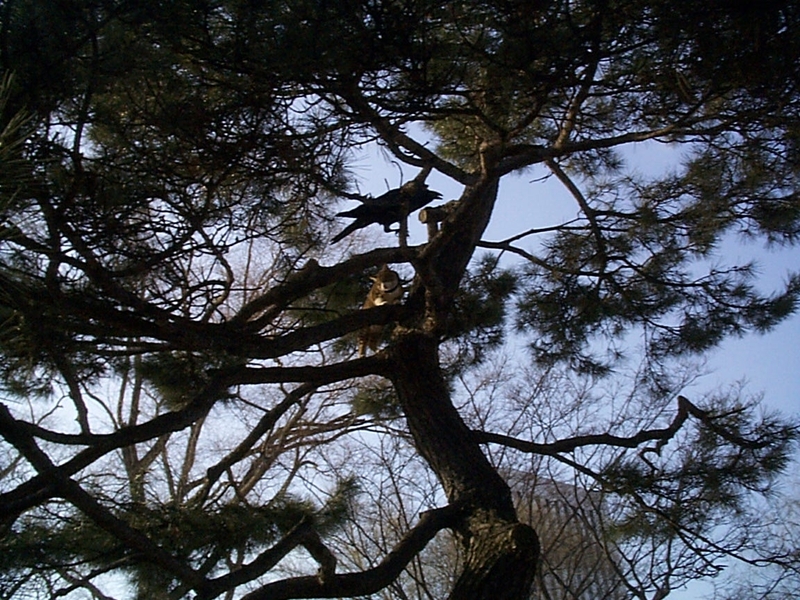 The crows sounded as though they were laughing at the cat, "Ha~, ha~, ha~!" A couple times one of the more brazen crows actually got close enough to tweek the cat's tail. The cat, as nimble as she was, couldn't even get close to the crows, so one might say that the crows won! 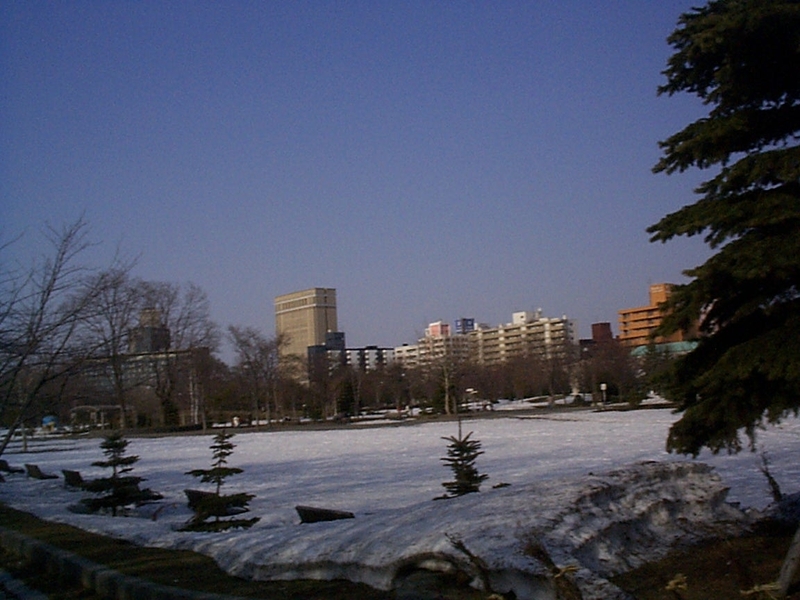 In the very few dry areas there were in the park, people were playing badminton or with frisbees. Some were even skateboarding. 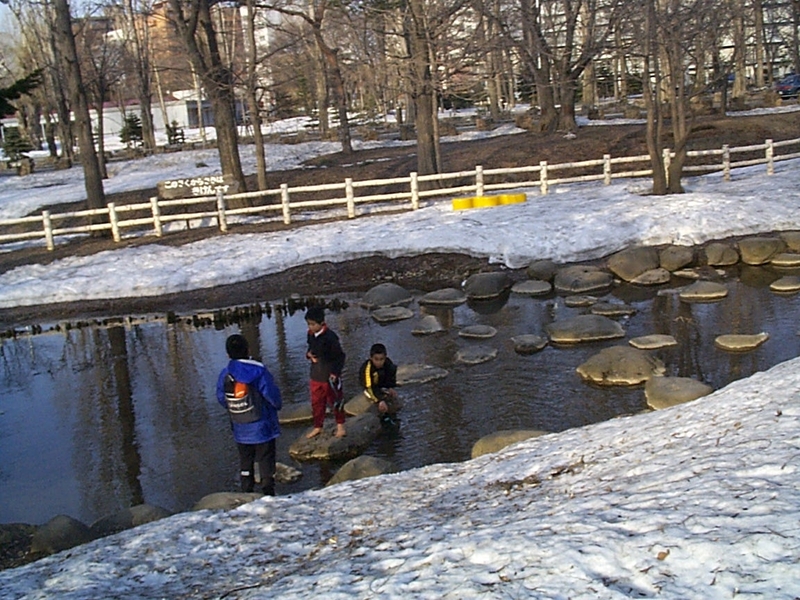 These boys, along with the ducks, seemed to prefer the water, though, that is, the parts of it that weren't still frozen over. 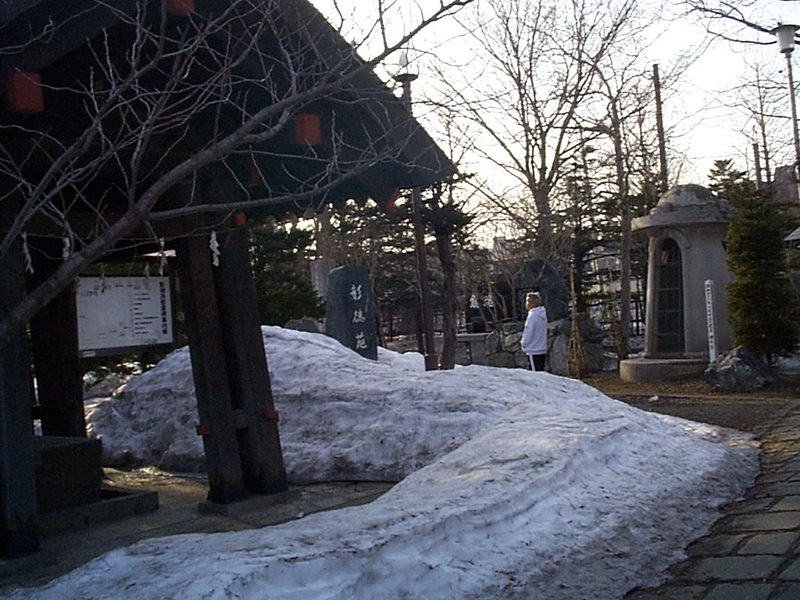 The shrine across the street from my apartment is beautiful in every season. A gentleman walks through looking at the monuments to the war dead. 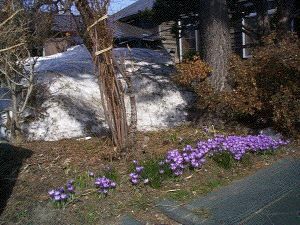 Finally the first crocuses! On the 10th of April! It coincided with the first day of my university classes. Nice timing!